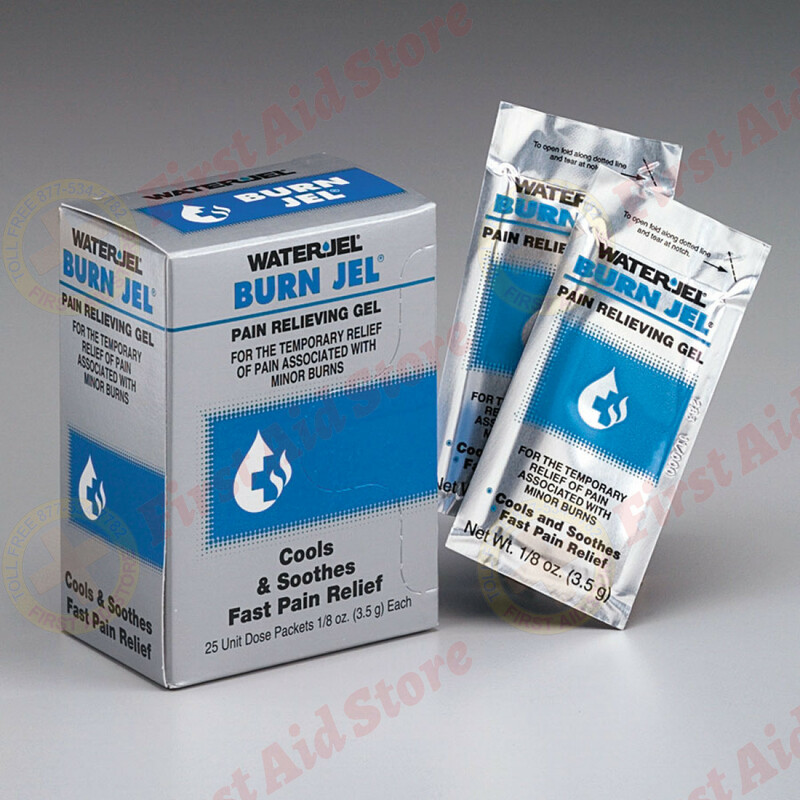 Cool and soothe minor burns with our Burn Jel by Water-Jel®. It forms a protective layer while it moisturizes the skin for fast relief. 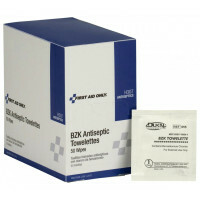 Ideal for the workplace - this 25 pack dispenser box is well suited for larger kits and medicine chests as well as first aid stations. Shelf life: 5 years from date of manufacture. 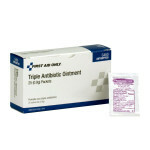 Active Ingredient: Lidocaine HCL (2.0%). The Water Jel® Burn Relief, 3.5 gm. - 25 Per Box.